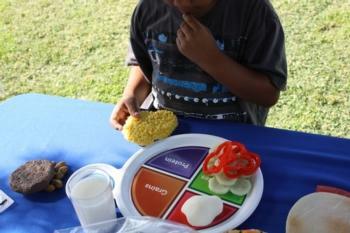 Our Eating Healthy from Farm to Fork curriculum for grades k-2 is a free program designed to provide an in-depth, comprehensive, age-appropriate learning experience for youth. Farm to Fork uses active, hands-on, learning-by-doing activities to show children how their food is grown and where it comes from. It walks children through the process their food travels through before it arrives on their plate by looking at local food systems, garden-based learning, and school food services. Our goal is to build a fun and positive environment for which students can learn about the journey food travels before arriving in their school cafeteria and in local grocery stores and farmers markets by showing them first hand how food is grown, packaged, processed and shipped. As a result children become more invested in the foods they eat, and will more likely opt for fresh, healthy, locally grown food sources to support local farmers and their agrarian community. Students learn about commercial farming methods for harvesting the food on their plates and what strategies are used to lower energy use for sustainable agricultural practices. 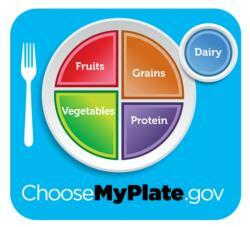 Our program also shows children how to identify specific foods and related food groups when introduced to MyPlate. Students learn to choose healthy food options over junk food when learning what role nutrition plays in building greater academic performance and overall improvement of general health and well-being. Our course comprises eight easy-to-use lessons that directly correlate with core subjects of the California Content Standards. They come equip with a variety of learning materials as an additional supplemental learning tools for greater extension of learning. Teachers interested in integrating our program into their curriculum can do so easily with use of our detailed lesson plans and learning materials such as fun and easy recipes, a lesson summary for review and a parent letter.